In English, the Year 4/5 class learnt about the plight of Queensland and New South Wales drought affected farmers. As a result of class discussions, it was decided that the students wanted to do something to help. 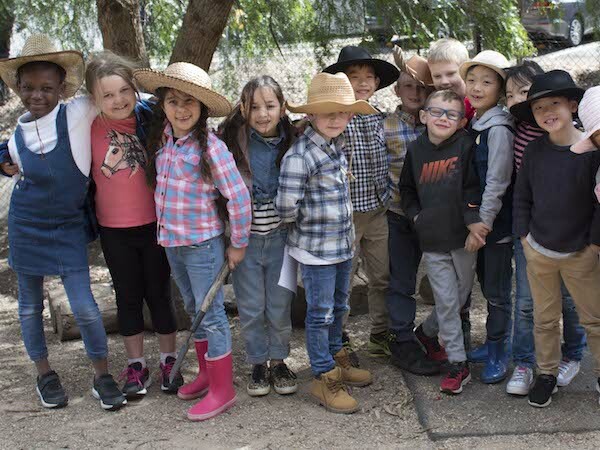 Students wrote persuasive letters to the College Principal, Mr. Higgins, requesting that the school have a 'Farmers Day' to help raise awareness and support of our struggling Aussie farmers. Mr Higgin's agreed that this was a worthy cause so on Wednesday, 19th September Northside Christian College had their very own 'Farmer's Day'. Students dressed up as farmers and brought in gold coin donations. The school raised a total of $500 which was donated to Aussie Helpers. Congratulations to the Year 4/5 class on their efforts organising this event for the College community.